The one and only David Bowie emerged from the mists on his 66th birthday with the release of his first single in a decade and the announcement of an album to follow. In magnificently undercover style and bucking the received wisdom of promotional campaigns and paid for press speculation, the new track suddenly appeared on iTunes at 5 am yesterday. Reflecting the sheer class of the mercurial icon, speculation and fanfare were dispensed with as the world witnessed that rare thing in pop culture today – a release garner universal coverage without it being underwritten by PR firms. The positive reception was instant with old school devotee Boy George deeming it "bloody gorgeous". 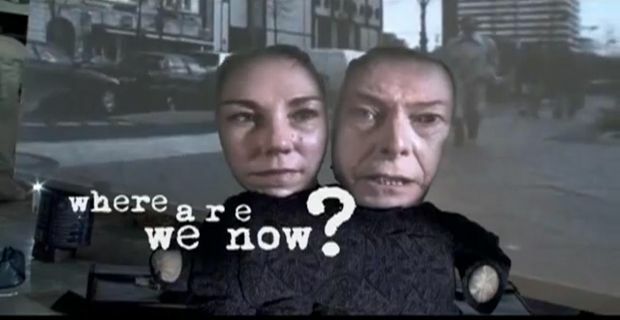 Bowie's last album of new material, Reality, was released in 2003, but after the accompanying tour, he withdrew from the limelight. And then suddenly, surprising even some of his own team – he burst back onto the world stage with a silent flamboyance. The rumour mill about tours has obviously swung into action and retailers are rubbing their trotters in glee at the thought of a run on the back catalogue – but we are going to honour the spirit of the song and not go all ‘tabloid’ on you. Just to say that the album, ‘The Next Day’ will be released in March and the V&A in London has an upcoming retrospective on his life.